Comprising of a strong team of talented and passionate stylists and technicians who will ensure your TONI&GUY experience is a fabulous one for both you and your hair. Our talented team of stylists and technicians are on hand to give you expert advice on the latest trends and services. Members of our salon are part of the TONI&GUY Session Team and have worked alongside the International Artistic Team on catwalk shows at London Fashion Week, bringing the latest trends from the catwalk to our clients. Members of our Colour team hold the prestigious L’Oreal Colour Degree- their knowledge and expertise are on hand to advise you on the latest colours and techniques. Members of our Colour team hold the prestigious Wella Master Colour Expert accolade- their knowledge and expertise are on hand to advise you on the latest colours and techniques. We offer additional services including Bridal and Occasion hair and the NanoKeratin Smoothing blow-dry.Our wide range of haircare products include label.m, GHD, Moroccan Oil, L’Oreal and Tangle Teezer to keep your hair salon perfect until your next visit. For more information on our services please speak to our friendly reception team who will be happy to help. It is the right place and the best stylists that will give you advices and very professional hair cut for your baby or your self. It worth every penny!! Alice skill fully applied 3 colours as highlights and produced a wonderful combination. Had a bit of a hiccup with my hair but Bex could not do enough to put it right. I left the salon feeling so happy with the end result. Bet only wants the best for her clients. Also I would like to say Ellie is an asset to the Shrewsbury salon as well. There I stood before your most brave staff, with an out of control mane. Baring resemblance to a wild sheep, Alice calmly took control and tamed the beast. Do I know what wizardry she did? No! But I left feeling less burdened by my rampant barnet, and cooler (both physically and in looks). Many thanks to Alice and Staff -- Keep awesome till next time!! Thanks for your feedback, it's great to hear. We can't wait to welcome you again soon at TONI&GUY Shrewsbury! Cut before coloured? Never had that before? Made to wait for her to do consultations with other customers. Was quoted £98 on phone, husband paid £130! Left too long with bleach in. Cut far too short and won’t be going back again ever! We are so sorry that you are not happy with the results or with your experience at TONI&GUY Shrewsbury. We'd very much like to make it up to you. Please contact the salon and ask to speak to Tom or Michellle and hopefully we can sort this out for you. Great cut and colour. Thanks. Thanks for your wonderful feedback, it's great to hear. 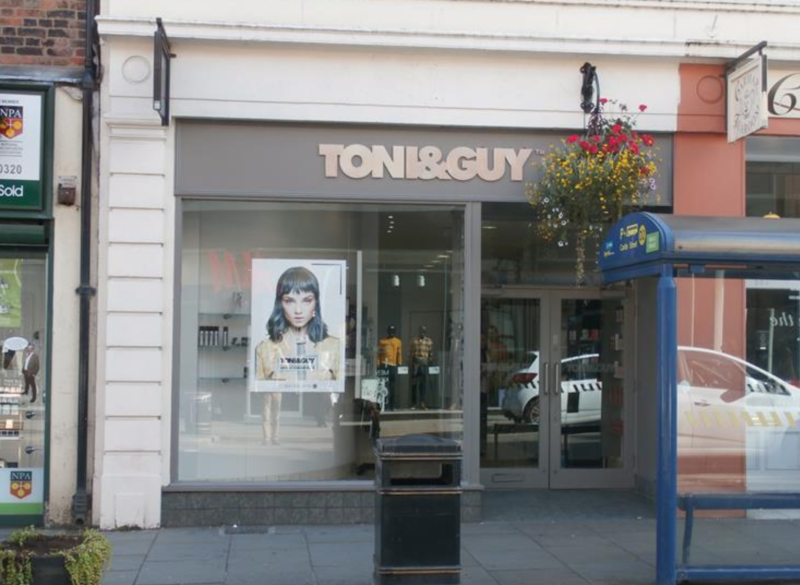 We can't wait to welcome you again soon at TONI&GUY Shrewsbury! Loving my new balayage colour created by Michelle yesterday. Great service and a lovely afternoon of being pampered. Thank you ???? Lovely warm welcome, every time; fantastic haircut, every time. Always really enjoy myself and walk out chuffed to bits with the results! Many thanks to Michelle who made my afternoon so special. My hair looks amazing and just what I need for my sons wedding .... I’m going to feel glamorous now on this day to remember!! Thank you Michelle for my gorgeous hair colour, I live in Spain and despite trying to find a hairdresser there, no one works their magic like Michelle. It’s a great salon full of talented and friendly staff. Thank you for making me feel so welcome and for my lovely cut. Looking forward to getting my colour done next week! ???? As always an enjoyable experience. Friendly welcoming staff make you feel comfortable from the time you enter the salon to the time you leave.